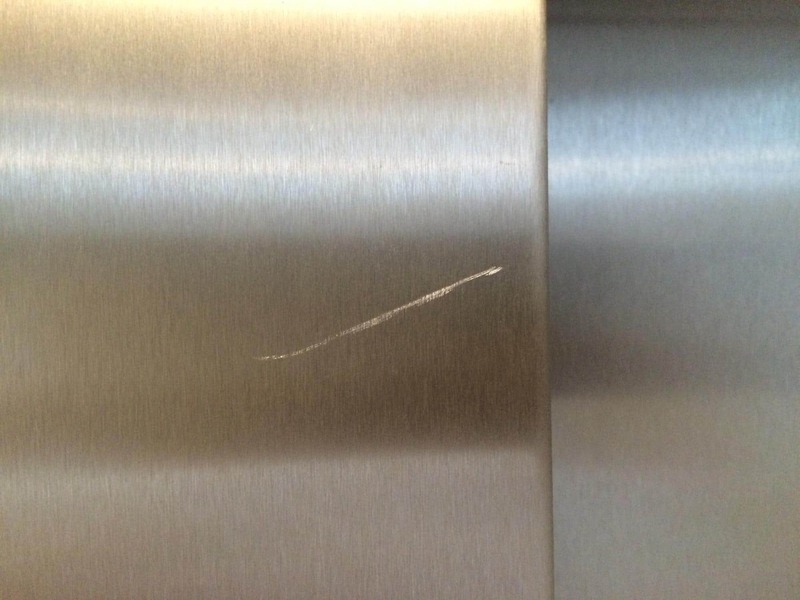 This repair shows a scratch removal on a new stainless steel lift door. Overview of scratch under the indicators and on the left hand door. 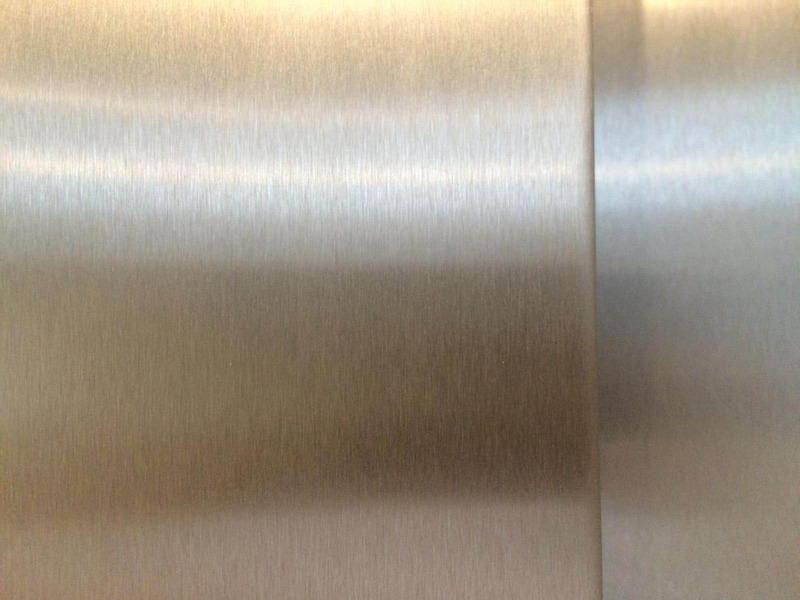 Scratch on a new stainless steel lift door. 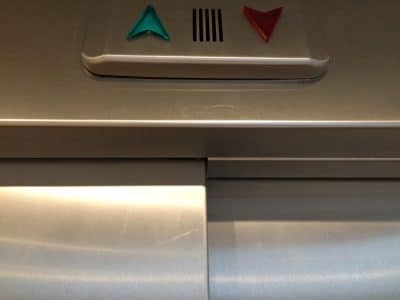 The scratch is polished out completely. 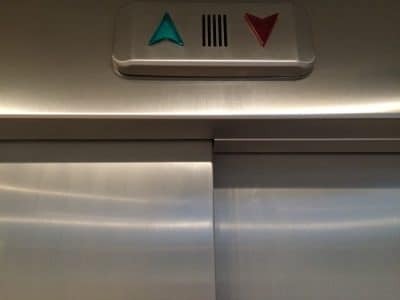 Both areas are scratch free after the repair.